This is for those who have been newly initiated into the Cult of the Bipolar. (Insert sounds of drums, tubas, dijeridoos, harpsichords, and aluminum pie pans.) These terms get bandied about quite a bit, especially on weblogs, as a way of expressing and identifying certain states of being and medical realities. Some can be confused with others. Once I told a new member at a support group that he was treatment resistant. He flew up and cried “I TAKE MY MEDS!” I had to calm him down, then explain what it meant. After ugly experiences like that, you want to work hard to prevent future misunderstandings. Artificial physical dependency to alcohol, street drugs, or certain prescribed medications (benzodiaphaphenes). Though sometimes used to refer to mood disorders, this is not correct or accurate usage. Nor does it apply to the physician-supervised use of psychopharmaceuticals intended to balance brain chemistry. Anyone who tells you otherwise is sadly misinformed. A mood or personality disorder which affects more women than men. Where bipolars swing up and down, borderline personalities swing between love/amorousness and hate/anger. Because no one remembers anymore what “borderline” meant (an illness that wasn’t quite schizophrenia), future editions of the DSM may call it Emotional Instability Disorder which should confuse it very nicely with bipolar disorder, formerly known as manic-depression. 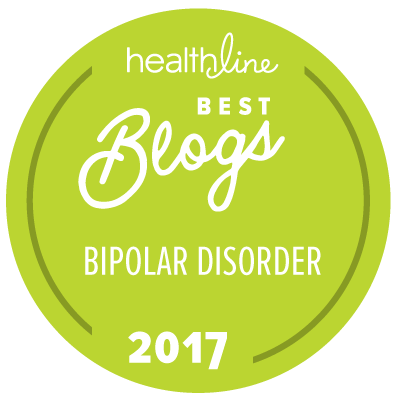 It is possible to have both borderline disorder and bipolar disorder. Someone who compulsively checks appliances, doors, windows, etc. May occur only in mania. Though it can debilitating for the sufferer, it doesn’t hurt to have a checker pack your parachute. Part of the OCD Spectrum. A person who cleans the house until it smells of Lysol and Ajax. Often very terrified of germs (cf. Howard Hughes in The Aviator). Part of the OCD Spectrum. The real thing as far as depressives and bipolars are concerned. A feeling of fatigue and overwhelming sadness that transcends normal grief or unhappiness. You can’t just “snap out of this”: this is caused by chemical imbalances in the brain. You are taking your meds just like it says on the label. You’re a good patient. See treatment resistant. A word like n*gger which may only be used by those stigmatized by it. Other such words include lunatic, maniac, and any variation on the word “nut” when used to refer to the mental compentence of another person. A device useful for spending capital you do not have. A major advance in bipolar bankruptcy that allows you to do it larger, do it faster. A false belief propelled by mania or depression. Manic delusions tend to involve grandiosity and/or religiousity, e.g. you are a prophet, the smartest wo/man in existence, or God. Depression delusions are often paranoid, e.g. you are being followed by the FBI, having your brain tapped by aliens, etc. Note that sometimes the FBI is following you, particularly if you are an active pacifist in the time of war. Derisive name for Depakote, one of many drugs which cause weight gain. Zyprexa is particularly notorious for this. The results are not pretty. An individual who was far nicer when drinking than sober. Dry drunks often follow cult-12-steps beliefs that inveigh against using any kind of medication, especially psychotropics. Some of us suspect that many dry drunks may be bipolar. A bipolar/depressive/schizophrenic who also has addiction issues. Some bipolars find themselves dueling with the cult-like views of some 12-Steppers who feel that the use of any medication constitutes an addiction. Electro Convulsive Therapy. Note resemblance to etc. “We tried Prozac, Lamictal, etc. Then ECT. Biblically mandated dinner for a bipolar recently out of episode. In mania. You’ve climbed to the top of the mood ladder and you just kept going. Any use of a medical term or one of the terms referred to under “crazy” which attempt to identify another person as mentally ill.
Large carnivore known to dine on noncompliant bipolars . See Timothy Treadwell. Yes, bipolars can have these. They can affect any of your senses. Examples include hearing messages in the whirring of fans or classic appearances of people or objects which aren’t there. Always watching for signs of danger. A characteristic of PTSD, phobias, and, sometimes, depression. A lower order of mania that does not yet feature either hallucinations or delusions. A very useful time for completing multiple household tasks. A large sum of money given to a bipolar for the purpose of squandering. Sexual potential. When your libido is high, you are horny as all hell. An array of full spectrum daylight lamps which simulate the sunlight you may be missing during the winter months. See SAD. Short for lithium carbonate, a natural salt and food supplement that is available by prescription. A very fun or very scarey state of mental and physical acceleration. A token of exchange symbolizing items of actual value. Because money is a symbol rather than the real thing, it is imaginary. Because it is imaginary, it can be reinvented in endless amounts and spent. Ask any bipolar who had been in mania. A variety of grandiosity which leads you to believe that you are not mentally ill or that you can safely handle the disease without recourse to medication. A person who is not stricken by an organic brain dysfunction. May be afflicted with education resistant ignorance. The chief carrier of stigma after the patient her/himself. Obsessive-Compulsive Disorder. A chemical-deficiency-driven disorder in which the sufferer may engage in several different kinds of behavior including self-harm, obsessive ordering, rituals, cleaning, skin picking doodling, etc. The expression of the illness may take many forms. Many help to replace serotonin deficiencies. A recent danger to the bipolar. Patriots have no problem shooting bipolars if they go crazy on an airplane. While people want to deny firearms to nonviolent bipolars, they wish to put more of them in the hands of trigger-happy patriots. Go figure. The psychiatrist. The one who gives you your meds. Someone who picks at her or his skin until it bleeds or forms callouses. Part of the OCD Spectrum. Almost certainly a bipolar. Proof that Jesus liked us. A state in which it is difficult to distinguish between the real and not real. Overwhelmingly not a state of violent impulses. May be hard to discriminate from the beliefs of ordinary people such as alien abductions and the presence of weapons of mass destruction in Iraq. Always more heavily stigmatized that these latter counter-factual fancies. Post Traumatic Stress Disorder. A syndrome characterized by anxiety and flashbacks to terrifying memories. A former addict who likes to go from program to program just for the hugs and thrill of being among people in recovery. Seasonal Affective Disorder. Meaning you get sad during the winter months. A religion that denies the chemical basis of mental illness, mostly in the hope that it can attract more confused converts. Notable disseminators of its disinformation include Tom Cruise and John Revolta — er — Travolta. A disorder whose symptoms fail to suffice either for a diagnosis of schizophrenia or bipolar. Schizoaffectives thus have both mood swings and altered realities. Some bipolars do not feel that schizoaffectives belong to the cult, but that feeling is not shared by this author. They are one of us. Note that it is possible to have both schizophrenia and bipolar disorder. Means that you use alcohol, street drugs, or over-the-counter medications to treat the symptoms of your illness. Can lead to addiction. Irrational hatred and fear of the mentally ill. The mentally ill may themselves be their own worst stigmatizers, but they are abetted by ignorant remarks made in the media, family and friends. Battling stigma may be one of the most important challenges facing the mentally ill today. We are capable, we are less violent than the “normies”. Another name for bipolar, particular when used in stories about encounters with police or federal air marshals. The talk therapist. The one who untrains you in bad habits. Noncompliant bipolar who wanted to become one with the grizzlies and did — by way of the digestive tract. Your drugs aren’t working. Psychiatrist might start threatening ECT. A follower of one of the programs inspired by Alcoholics Anonymous. Though AA and other 12-Step organizations do not preach against taking your meds — on the contrary, their literature inveighs against getting between any patient and his/her doctor — a subcult within the Recovery Movement believes that all meds — including aspirin — are bad. Many bipolars who face addiction issues choose not to mention their illness in these contexts. A mood disorder sufferer who feels only depression.